Well guys... looks like I've gone out of my safe place, eh? 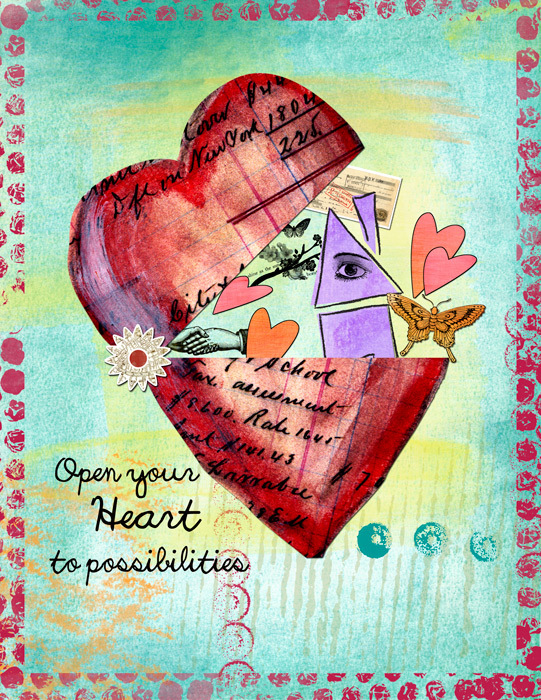 I'm taking the incredible Art Journaling Class at Jessica Sprague and wow! This is sooo much fun! Today's theme was "heart". That's it. Pretty much anywhere you want to go with it. I absolutely love this class. She gave us so much product in the course materials that the possibilities are endless!